The Sydney producer also heads her own label, handles the majority of her artwork, and is her own stylist. Milan Ring works hard. But she wouldn’t tell you. Since the release of her debut EP Glass in 2014, Milan’s discography has grown steadily. In four short years, each of her releases have spotlighted brilliant parts of Milan’s creativity. She’s as committed to her beats (dropping a whole beat-tape last year) as she is to her vocals (she prefers to track alone). She does most of the graphic design for her cover artwork, and styling for her photoshoots. As for her music, it’s dappled with neo jazz, soul, and electronica, while her honeyed vocals flow over the top. At its very base, the sound of Milan Ring is soulful, easy listening. For Milan, it’s not a case of making for the sake of making—instead, it’s deeply personal. She refuses to allow anyone else to give the green light on her work. Milan is energised by myriad of different projects. She often works from LA, contributing to sessions with SZA and DRAM. But these collaborations aren’t her be-all and end-all. Rather, her sights are fiercely set on allowing her art to reach the world fully-formed and how she intends it. She runs her own label, MXMAY, allowing her to maintain complete creative oversight. When asked, she’ll say that it’s less what could be deemed a ‘power move’ and more out of a vested interest in the process. Despite both of us almost forgetting the call, we caught her for a quick 20 minutes to chat the pros and cons of collaborating, working on the music she loves, and how not to burn out. I would love to hear you talk about your label, what you love about it, and why you started it in the beginning. I feel like there’s many things I want it to expand in to… which I won’t talk about yet. In terms of having the control to release music on my terms. Like choosing when I’m ready to, what time and how it comes out. I really don’t appreciate anyone telling me they do or do not like something. Like if I was at a record label, it’s like ‘Oh no! This isn’t the song. Instead release this other song.’ I mean, of course I collaborate with people and I appreciate other people’s advice. But at the end of the day I want to be a yes/no person and have that power, rather than a label. That’s the most exciting part—maintaining that integrity for my art. I also wanted to bring up some amazing collaborations that I’ve seen you do, like working with SZA. Yes! I was working with [Donnie Trumpet and] The Social Experiment crew in LA and she was in a session with me there. We were mostly just having a jam and making some music, which was really cool. We haven’t released a track or anything, but I really enjoyed it. From those sessions, I had a release with DRAM. Do you have a preference for collaborating or creating alone? I think there’s a time and place for both. I definitely like to [make time] for both. It’s always just being really careful of collaborating with the right people. People that are, you know, obviously good at what they do but are also sensitive and listen as much as they say. I think most releases I’ve done this year have had a collaborator in there. It’s good to take things away and work on them alone. A lot of my vocals I like to do alone. They’re very personal to me. It’s just the way I work. I like to track my own vocals. I like the speed with how I do it and giving myself the ability to sing without any fear or hesitation. When it comes to mixing and the later stages of production, I do spend a lot of time alone. I always bring people in at certain times or I send people mixes. I try to get a lot of advice and either take it or not. It really depends on the track. I like the balance between collaborating and creating alone. I like to listen to my own inner voice and try not to let my sound get too swayed by other people’s vision. Of course, it’s a great track. I feel like I’ve watched you churn out release after release this year. Do you feel like it’s been a long time coming? Not really… I’ve got a of music I’ve been working on. Last year I released a beat tape that was made up of all these interludes. Last year I kept changing my mind about how I wanted to release the EP. I was like, ‘I want to do this EP with all these interludes.’ And then I was like, ‘Hang on, why don’t I just put all the interludes together and release a beat tape and then release the EP single by single.’ And that’s what I did. I don’t know why—I just felt like it. I kind of then started to think about what songs I wanted to push out. It kind of wasn’t super planned… I had the photos done in LA because they were very cohesive in imagery. I was umming and ahhing about a few songs. And then I started working with Astral [People] and played them a bunch of my demos and we were supervising ‘Drifting’. Now I’m finishing up the next single. Another thing I was thinking about is your aesthetics. I feel like you emanate this ‘rich woman’ aesthetic and I really love it. Where has your style come from? Does beauty and fashion inform your art and vice versa? Or do you see them as separate forms of expression? Did you just say my style is kind of like a rich woman? [Laughs] Ok good! I think that fashion and styling is definitely another extension of my creativity. I think it pairs hand in hand with music and my art. I think all art inspires other parts of art. It’s something I’d like to get into more—some more designs and concepts. I’d like to potentially expand my label into that at some point. I have one last question. I’ve heard several reports that you’re a one-woman powerhouse. What do you do to make sure that you don’t burn out? Yeah… good question! I think that definitely you have to do things other than work. I really try to meditate every day and eat really healthily. I make an effort to have space for myself. I’m also just learning that collaboration and delegation is important—also being able to ask and reach out to people. Years ago, I wouldn’t reach out to people often enough when I needed help. Even just asking something simple like ‘Hey, I need better keys on this track—would you be keen to come play keys for me today?’ Everything from that to the business end like ‘I need better graphics for this cover…’ I think that really helps with not being burnt out. It also helps loving what you do. I’m interested in lots of different forms of art and the technical side of things. I love mixing and engineering of music and playing around with graphic design. But that’s me. I genuinely really enjoy and get energy and fulfilment out of that. Whereas other people might not, and that could really burn them out. With the ‘one-woman powerhouse’ thing, it’s very kind that people think that but it’s genuinely just because I love all these different things. 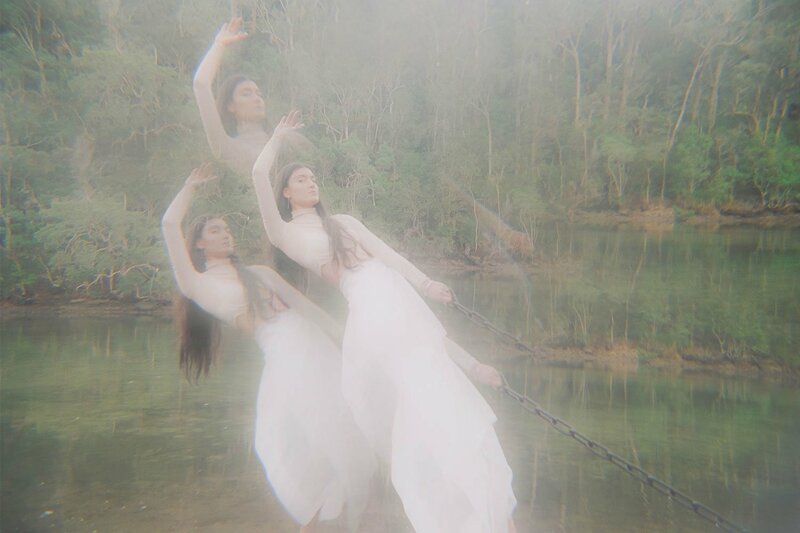 For those who missed out on Milan’s sold out single launch last Friday, you can still catch her on November 11 at the North Wollongong Hotel in Sydney.